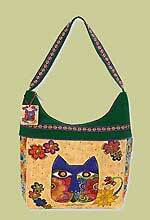 Cool Cat Creations is designed by a long time quilt designer and teacher who decided to make her own patterns. 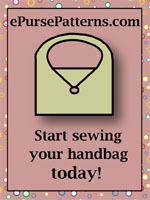 All her bag patterns have clear instructions and color illustrations to help those interested in making their own handbags. 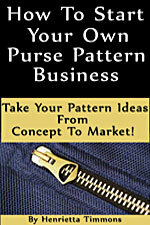 Cool Cat Creations currently has a wallet pattern with applique and some of their purse patterns have instructions for more than one bag.